Classic Cinnamon Apple Crumble – sweet cinnamon apples covered in a warm crumbly topping. A delicious and easy fall dessert that’s perfect for apple season! 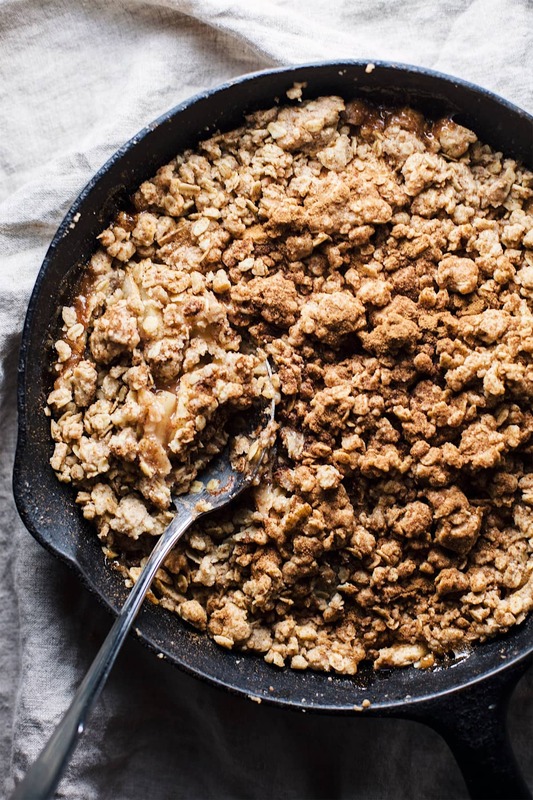 In honor of apple season, we are talking about this delicious classic cinnamon apple crumble. 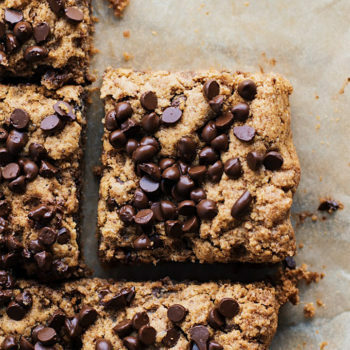 Such an easy dessert and so perfect for the fall baking season. Cinnamon crumbly topping over warm, sweet apple slices — a no fuss dessert that’s simple yet all things YUM. I’ve had quite a few apple crumbles in my life and I have to say this one is easily my favorite. 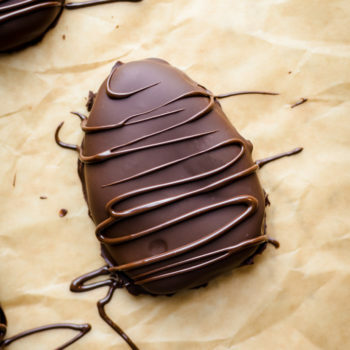 It’s perfect for fall, not too sweet or tart, and absolutely delicious served warm with a scoop ice cream! I served this for my family and some of them said it was the best apple crumble or crisp they’ve ever had. So with that, shall we? What is the Difference Between a Crisp and Crumble? A crumble is a dish of baked fresh fruit, with a streusel crumb topping. The topping is usually made with a dreamy combination of butter, flour and sugar, with the option to include nuts. Like crumble, a crisp is baked with fresh fruit, but the streusel topping is less dense and typically includes oats. When baking with apples it’s important to choose apples that keep their structure and don’t bake into mush. The number one apple for baking is granny smith – but you can also use Honeycrisp, Pink Lady, Braeburn, or Winesap. For this recipe I used half granny smith and half Honeycrisp to balance the tartness and sweetness. First, mix apples with flour, sugar, and lemon juice. Lay apple slices in cast iron skillet. Then mix crumble topping ingredients in small ball. 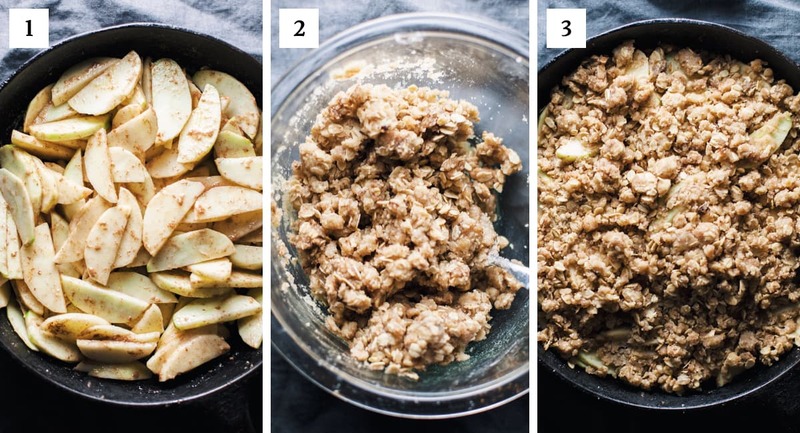 Evenly sprinkle crumble topping over apple slices – bake for 45 minutes until slightly golden brown. How to Store Apple Crumble: Place in a sealed glass or plastic container and store in refrigerator for 3-4 days. How to Reheat Apple Crumble: Either reheat in oven at 350F for 8-10 minutes – or microwave for 30-60 seconds. 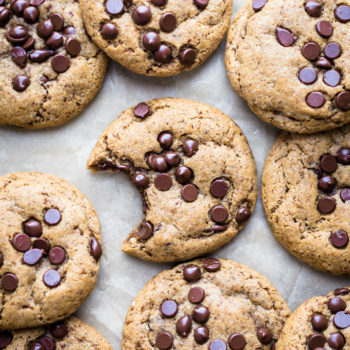 Make this recipe gluten free by replacing 1 cup all-purpose flour with a gluten free flour blend or almond flour, and swap regular oats with gluten free oats. As noted above, the best apples to use for this recipe are Granny Smith, Pink Lady, Winesap, Honeycrisp, or Braeburn. You can also use a combination of these apples for this recipe. If you do not have a cast iron skillet you can use a medium-sized baking dish. If you enjoy this recipe – you may also like my Gluten Free Peach Crisp. Classic Cinnamon Apple Crumble - sweet cinnamon apples covered in a warm crumbly topping. A delicious and easy fall dessert that's perfect for apple season! 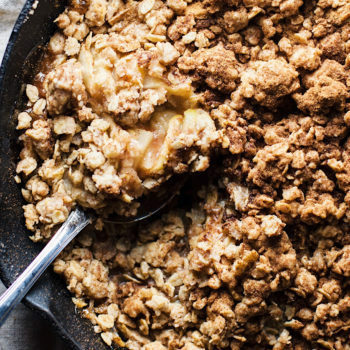 Mix all of apple ingredients together - lay in cast iron skillet. Then mix all of crumble topping ingredients together in a small bowl. 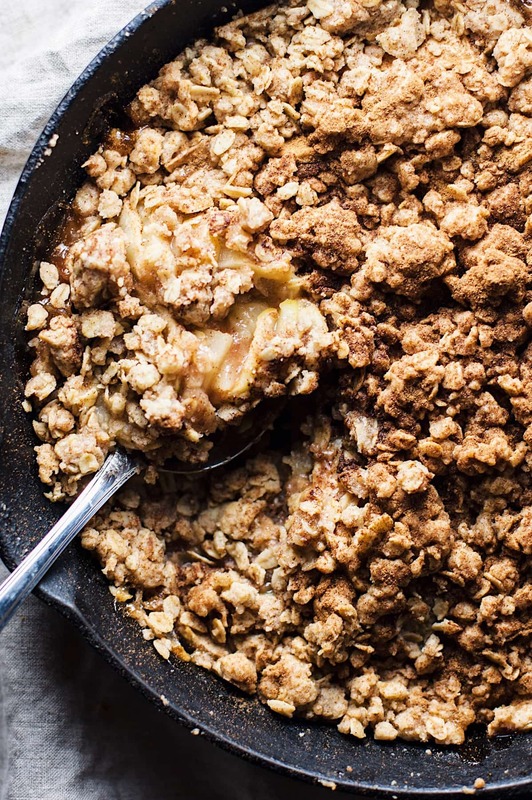 Sprinkle crumble evenly over apple slices in skillet. Then bake for 45 minutes until golden brown and apples are bubbling. Sprinkle additional cinnamon over apple crumble. Serve warm with scoop of vanilla ice cream. As noted above, the best apples to use for this recipe are Granny Smith, Pink Lady, Winesap, Honeycrisp, or Braeburn. You can also use a combo of these apples for this recipe. Whenever I see apple crumble I think of grade school and high school. That was my favorite dessert. I usually didn’t get any kind of desserts except for this one. Your apple crumble looks just like the ones I loved. I’ve got to make this. How fun! It’s such a staple dessert – I appreciate that, Marisa! I have a huge pile of apples on my counter just waiting for a recipe like this, love the spiciness of this one! I love apple season even more than pumpkin season. Your crumble looks like a perfect recipe for the fall. Right?! I’m with your there on apple season. Thanks, Holly! I am loving all the apple recipes this time of year! Can’t wait to try this one soon! My son will absolutely love it!